The British Gazette » Greece: We told you so. In our earlier article (http://www.british-gazette.co.uk/2015/07/02/impresario-juncker-presents-the-greeks-will-they-or-wont-they/) this organ advised the Reader that a “Grexit” was a remote prospect. This against the reports from the commentatori that such was a distinct possibility. The whole exercise was a huge coup-de-théâtre stage managed by Brussels. This is born out by German Finance Minister Wolfgang Schäuble has now admitted that there was never any prospect of Greece leaving the Eurozone. This whole jamboree was a classic “beneficial crisis” – with the other Eurozone states brought into line, ready for the next round of treaty-making that will hand the final vestiges of economic sovereignty over to Brussels. Oh and by the way, if you are thinking the Greeks are paying a heavy price there is hidden away in the small print the small matter of a €35 billion grant. Something not reported by the Brussels Brainwashing Commissariat. Ah, yes….. There was something else. What was it???? Ah!! I remember. That annoying non entity David Cameron. Yes, Dear Reader expect him to start jumping up and down like a guinea foul who has just spotted a fox in the not too far distant future about a new treaty he has managed to force the French and the Germans to offer him. All nonsense of course! Expect the referendum to be fudged accordingly! 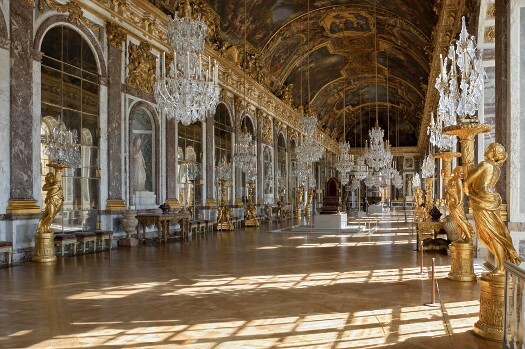 Remember this: If you want to get a handle on how the mind of a Eurocrat works, visit the Galerie des Glaces in the Palace of Versailles. It is a magnificent spectacle and best of all (for a UK taxpayer) you have not paid for it!